This 5 bedroom 2.5 bath pet friendly log cabin truly is in the heart of Maggie Valley. The home has 3 bedrooms on the main floor and two upstairs. There is a full kitchens and living areas on both floors and has satellite TV and WIFI. 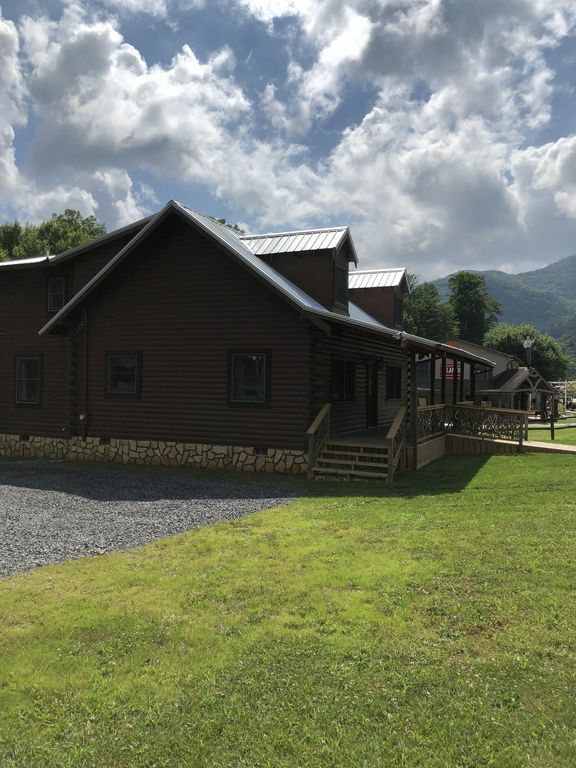 Heart of the Valley is located on Soco Road and is within walking distance to Maggie Valley Carpet Golf, Stompin Ground, Wheels Through Time Museum, Maggie Valley Festival Grounds, Maggie Valley Puzzle Rooms (Escape Rooms), and gift and antique shops. There is ample parking for multiple cars and trucks with trailers on the property and has easy year round access for motorcycles, slingshots and spyders. The home is also within 10 minutes of downtown Waynesville and is conviently located to hiking, fishing, rafting, skiing, horseback riding and golf. Asheville is 35 minutes east and offers The Biltomoe Estate, shopping, the arts and great restaurants. You may also plan a day trip to Gatlinburg/Pigeon Forge. Come make vacation memories at Heart of the Valley. Awesome location. Close to Skiing and tubing. Even enjoyed the Puzzle Room located right across the street. Everything that was needed for the weekend was there.